This home office design brings the warmth of a ski lodge right into your very own home. The clents were downsizing from a large house to a condo in the city, hence a major need for his own office and personal library/lounge space with lots of storage. They chose a premium VIVA™ Après Ski laminate, the resemblence to real wood is striking — offering a natural and cozy getaway as their workplace. Custom LED lights reinforce a pleasant atmosphere and illuminate the desktop, omitting the need for a lamp that would otherwise take up space. The use of a second panel under the overhead cabinets conceals the wires from the overhead task lighting, keeping the look crisp. A cleat was used across the back and top of all units to hide the rail that secures the units to the wall, furthering the clean look and eliminating the need to paint the rail. 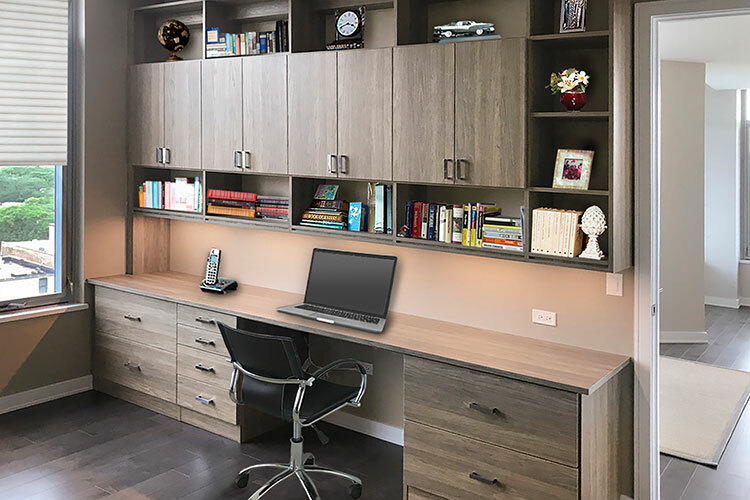 This home office organization system offers a separate smaller workspace on the opposite wall for multitasking projects or for younger ones to have a comfortable place to complete homework. They hold the beverage center and printer/accessory stations. 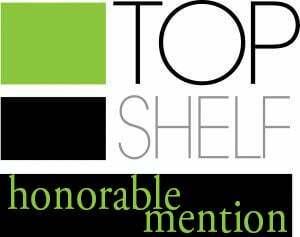 This custom home office design won Honorable Mention/2nd Place in the national Top Shelf Design Contest. Whether behind cabinet doors or exposed, this home office design features plenty of places to store papers, files, books and other materials. Extra long custom desk with overhead storage and LED task lighting includes ample worksurface for spreading out papers. The drawers are equipped with file drawer organizers to contain papers. 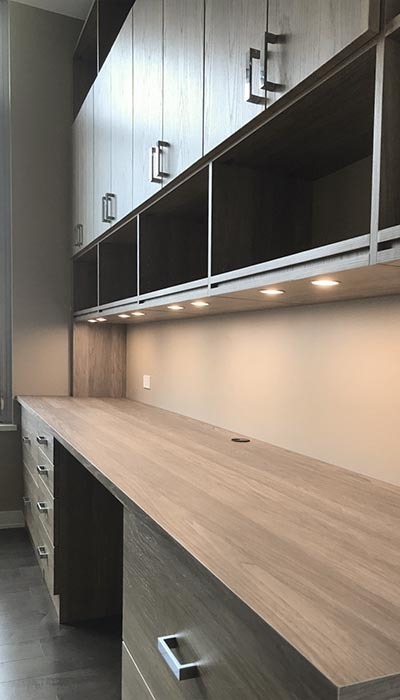 This home office system incorporates a second panel under the upper cabinets to hide all the wires from the LED task lighting system. The wires run between the two panels and a remote control is used to turn them on and off so that the wires need not be accessed frequently. This way, no wires are left dangling over the desk. 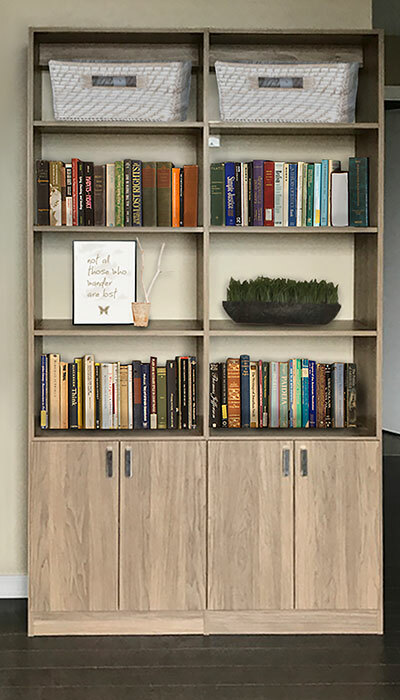 Bookshelves for home office. Note the use of a cleat to conceal the rail that secures the bookshelves to the wall. Using a cleat across the back of the top of the unit is an attractive and less expensive alternative to full backing of the entire system. 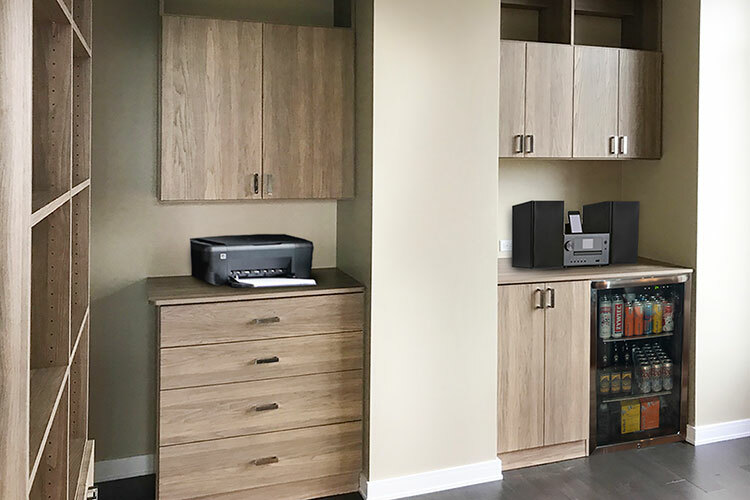 Recessed alcoves received a printing/accessory/supply station with overhead cabinets and a bank of drawers on one side, and a music/beverage center on the other. Note the open shelving at the top of all system components for displaying personal mementos.